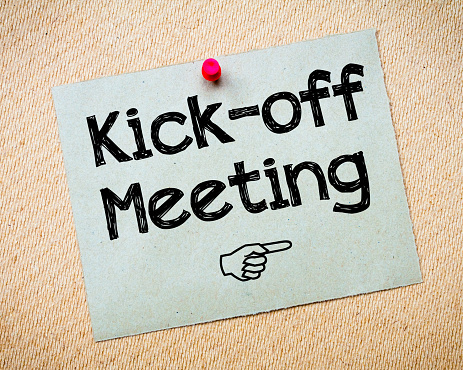 Starting Off the New Year With a Kickoff Meeting… Now What? You just finished your Annual Kickoff meeting with the entire company. You went over last year’s highlights and this years goals, including going over what the budget is, highlighting revenue and profit targets, reviewing the various growth initiatives and outlining the hiring plans for the year. You announced a few awards to recognize key associates and celebrated the big wins from last year – great! Everyone is ready to run hard at this year’s challenges and opportunities you laid out, but as everyone leaves the meeting, you say “now what”? How do we maintain our communication, enthusiasm, connectedness and alignment around our plans that we’re feeling right now? The ability to stay aligned with a highly motivated team that is moving fast is very tough. Keeping the mojo going that you’ve just experienced at the kickoff meeting is based on more than just enthusiasm, you’ve got to tap in to how your associates are getting motivated and satisfied with what they do everyday – you’ve got to get them connected with the vision. Your job is to make sure the vision is clear, your company values are understood and that you’re keenly aware of putting the right associates in the right roles so that they can contribute to this vision. It’s not senior leaderships job to motivate associates, but it’s our job to create an environment that enables associates to connect with the company values and strategy. According to a June 2013 Harvard Business Review Article When CEOs Talk Strategy, Is Anyone Listening only 29% of our associates actually understand and can articulate the company strategy. Your single most important message of why the business exists and why it’s worth investing in is only understood by a few. How can this be? An old story tells of three stonecutters who were asked what they were doing. The first replied, ‘I am making a living.’ The second kept on hammering while he said, ‘I am doing the best job of stonecutting in the entire country.’ The third one looked up with a visionary gleam in his eyes and said, ‘I am building a cathedral.’ -La Sagrada Familia, Barcelona. The so-called Parable of the Three Stonecutters illustrates that the three stonecutters are all motivated by different things. Unfortunately, two of them are not tied to the needs of the whole. Getting everyone on the same page to feel connected to the vision is done by making sure each associates’ work is challenging, they feel recognized, they can see that their contribution matters, they feel responsible and they feel like they are growing – now that’ll keep people motivated and aligned with the vision. This works because it feeds their individual needs of how they’re motivated which drives true satisfaction (Hertzberg Theory) – connecting directly inside the person versus an external stimulation, which is short lived. It’ll keep all associates aligned with the vision as working for something greater than themselves and is much more rewarding than working on our own art of perfecting our craft where the perfection becomes an end in itself. Pam Springer is the CEO of ORIS Intelligence, provider of actionable insights that preserve pricing integrity for manufacturer.